Thomas Arcentales has qualified as a Scholar in the National Hispanic Recognition Program. 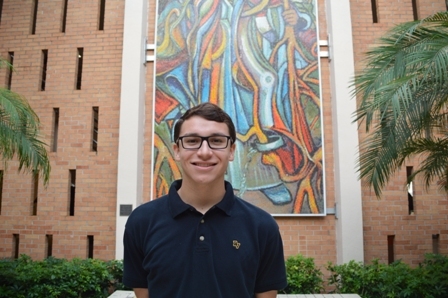 The Verot senior scored in the top 2.5 percent among Hispanic and Latino PSAT/NMSQT (Preliminary SAT/National Merit Scholarship Qualifying Test) test takers in each region. Thomas has attended Verot for four years and resides in Fort Myers.